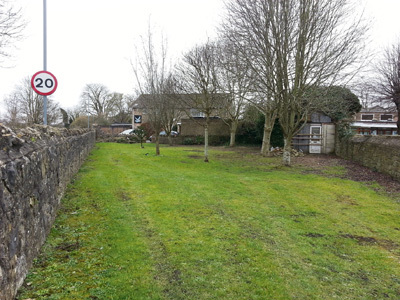 A piece of land in central Keynsham known as The Paddock has been withdrawn from an auction following an outcry from local residents. Signs appeared at the site behind St John’s Church last month indicating that the space would be sold off by Bath and North East Somerset Council at auction this month. Local organisations, however, asked to be given a chance to put together joint plans to keep the land as a community asset and approached Keynsham councillor Charles Gerrish to lobby the council. Mr Gerrish has welcomed the decision to grant a reprieve and said: “I am grateful to B&NES for agreeing so promptly to withdraw this land from auction following the local concerns which were expressed. The site contains a number of trees, one of which was planted as a memorial by Keynsham Civic Society. The groups involved hope the site can be allocated as green space so it will not be sold off in future and is instead kept for public use.